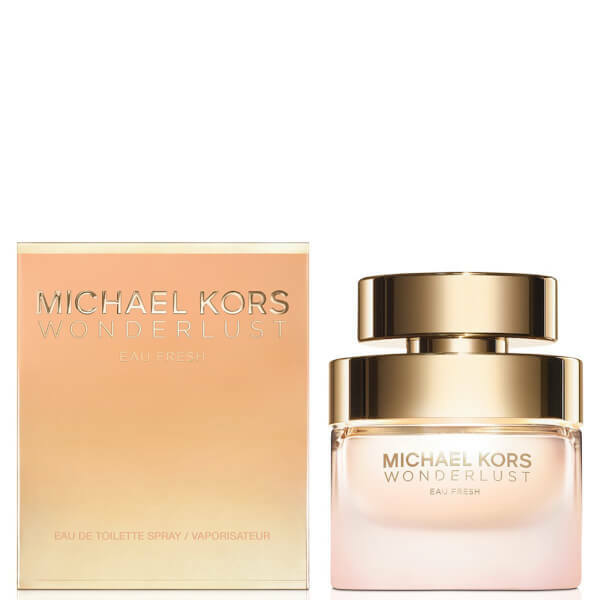 Top Notes: Italian Bergamot, Sicilian Mandarin, Granny Smith Apple, Pink Grapefruit. Heart Notes: Jasmine Sambac Abs., Heliotrope, White Peony FirAbs, Muguet. Base Notes: Benzoin Siam, Sandalwood Sri Lanka, Pamplewood, Sheer Musk. 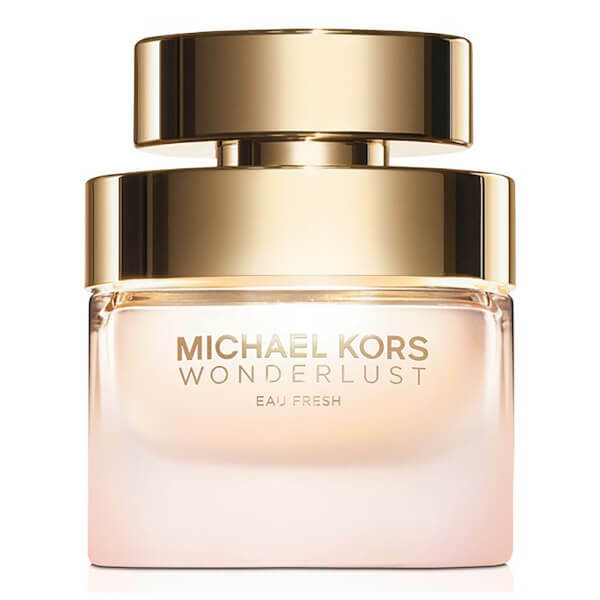 Let your senses run free with Michael Kors Wonderlust Eau Fresh Eau de Toilette, an effervescent fragrance that leads you on an adventure. Opening with vibrant top notes of Mandarin, Apple and Grapefruit which sparkle with possibility, the scent flowers into a heart of Jasmine and Peony before settling on a woody base of Sandalwood and Musk. Housed within a sleek, rounded bottle with shining gold accents.